Once upon a time Noelle Delaney gave me a bear. She bought it new, but didn’t care for the “new” fur, so she threw it in a washer first and then presented it. I haven’t seen Noelle for a really long time. But the bear lives on. Ambyr just sent the bear back — with a delicious box of holiday cookies! — and as soon as I opened the box, Ludmila fell in love with it. 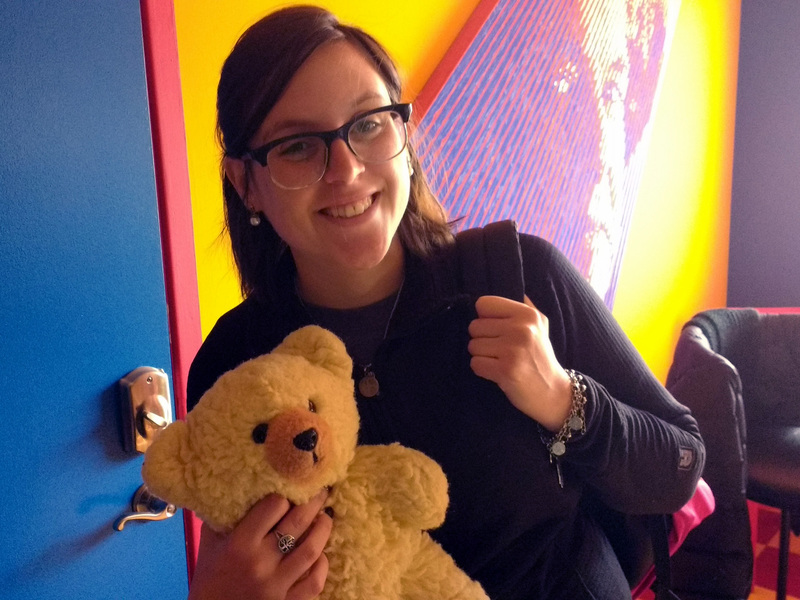 It became quickly clear that after living at Casa Glenn for years, the bear, “Ambyr Noelle” was destined, like my house, to be swept up in the 2016 travel frenzy that is Runaway University! And so Ambyr Noelle and Ludmila of Argentina have returned to Ludmila’s year-long teaching work at the University of Nevada, at Reno. 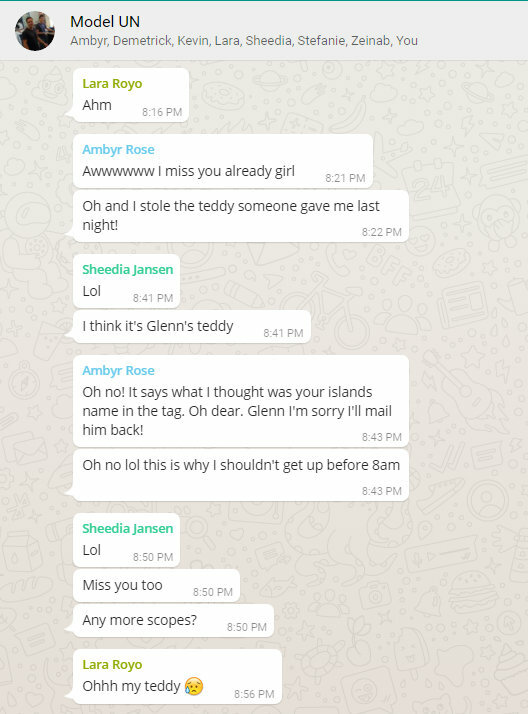 Ludmila’s going to send pictures of Ambyr Noelle’s adventures, and then after a few weeks send Ambyr Noelle back, so she can venture off with some other CouchSurfer to adventures in a new location.